It occurred to me later that the opposite idea is also very important to creativity; that reminded me of my friend Mike. Mike plays the saxophone. 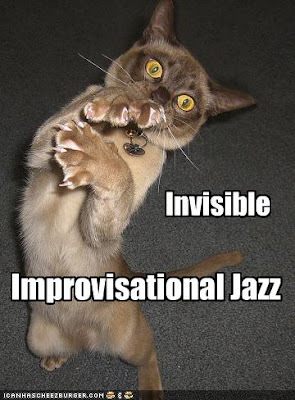 Specifically, improvisational jazz. 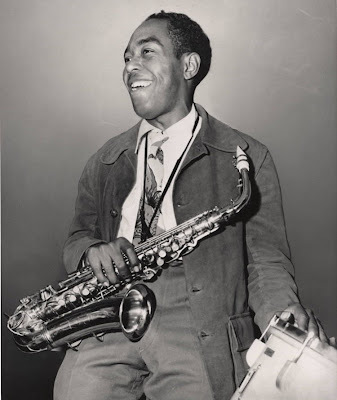 He told me the other night that he especially loves playing jazz worship services at his Christian church. I imagine that part of the appeal is leading people to unfamiliar places in ordinary surroundings. How’s that for unfamiliar places. So, fellow Knights, what’s your habit for giving your creative self a bit of push? * Make it a habit to do something totally out of character once a month. * Look at old art and question it. * Read books that you would not otherwise reach. * Read a quotes book. * Sketch your ideas (especially if you don’t think you’re an artist). “Most people are other people. Damn, how unoriginal is using that quote -- any quote -- to end an essay on creativity and originality? I guess need to work on that. Throwing Spears in the dark...sounds like some Health and Safety litigation in there somewhere. My best creativity comes to me when i'm driving or moving on the road....precisely where i can't do anything about it. When i stop it evaporates. Just finished a conference with Barry Schwartz who wrote The Paradox of Choice: Why Less is More. Awesome. I love challenges to move in new directions. To remain open to possibilities, but to also tap into my core, my center to keep my sails trimmed and my keel even as I sail away into the unknown, which is my version of throwing a spear into the dark. This was timely, because I am in a complete and total creative rut.